What area(s) do you want to live in? Are you interested in a specific neighborhood? What kind of home do you want to buy? Questions about buying a home? 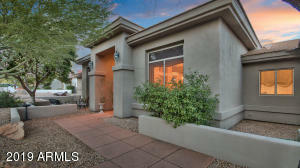 Find Million Dollar Homes for Sale in Phoenix. Million Dollar Homes for Sale in Scottsdale. Find Million Dollar Homes for Sale in Chandler. Licensed in Arizona. All information provided is deemed reliable but is not guaranteed and should be independently verified. Properties subject to prior sale or rental. ©2019 Arizona Regional Multiple Listing Service, All rights reserved. The data relating to real estate for sale on this website comes in part from the Arizona Regional Multiple Listing Service. Real estate listings held by brokerage firms other than Russ Lyon Sotheby's International Realty are marked with the Arizona Regional Multiple Listing Service logo and detailed information about them includes the name of the listing brokers. Listing data last updated 04/18/2019.